Looking for end of summer specials or packages for the family, a last minute getaway? Some place just a little different? A place where there are things to do, from outdoor fun to indoor interests? Sedona, Arizona is just that place. There is something for everyone young and old. For those with a love of outdoors, the hiking trails and biking paths are unsurpassed; the towering red rocks offer spectacular views. There are winery tours, jeep tours, hot air balloon rides, helicopter tours through the Grand Canyon, river rafting and so much more. 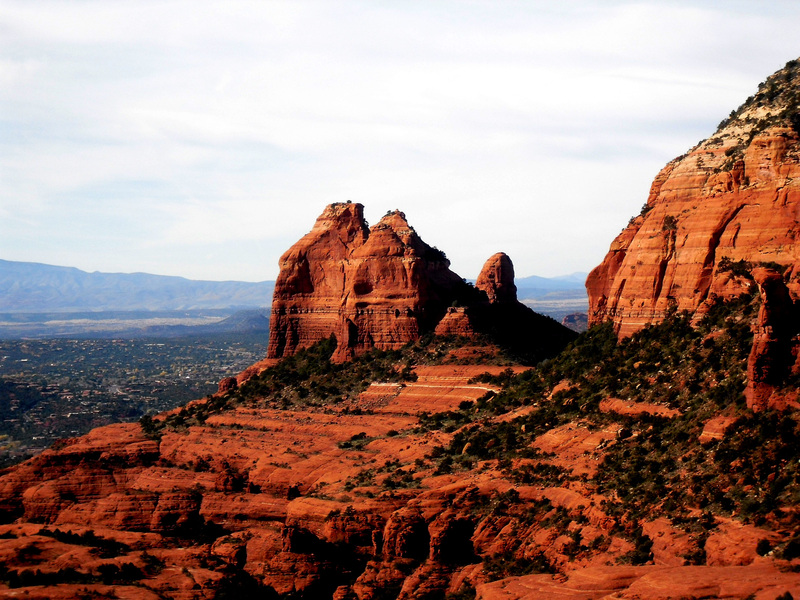 For the culturally inclined, Sedona has a number of museums, art galleries and musical events. Avid shoppers and diners are not left out either. Sedona’s famous Tlaquepaque Arts and Crafts Village is in the heart of the Arts District with wonderful shopping and restaurants, perfect for a leisurely stroll. The perfect place to stay after all of these adventures is El Portal Sedona Hotel. El Portal is a luxury inn located in the heart of Sedona; it is within walking distance of Oak Creek, a beautiful place to walk your dog in the mornings and evenings, and Tlaquepaque Village. Guests of the boutique hotel have unique access to personal concierge services for Sedona and the surrounding area. The staff of El Portal, led by owner Steve Segner, personally plan and arrange itineraries for guests, along with providing a luxurious and relaxing setting on the property. This pet friendly bed and breakfast is offering an August Special not to be missed! Stay one night (Sunday-Thursday) and get the second night for only $99.00! (Depending on the room, that is a minimum of 50% off the regular room rate). This Sedona hotel package will not last; it is good only until August 25th. (Offer valid for new bookings only, based on availability). Take advantage of this August special, call El Portal Sedona Hotel at 800-313-0017.